I am a skilled craftsperson and a team member. I work for my family, my crew, my union and my employer. I am part of a Brotherhood with a legacy of more than 130 years. I honour my mentors, who came before me. I honour their struggle to give me a union opportunity. I show up on time and ready to work. I provide quality work for quality pay. I honour our negotiated contract and let my stewards and union representatives do their jobs. I am responsible and accountable for my actions. I do things right the first time. I am constantly learning and sharing my knowledge. I always work safely and demand the same from those around me. 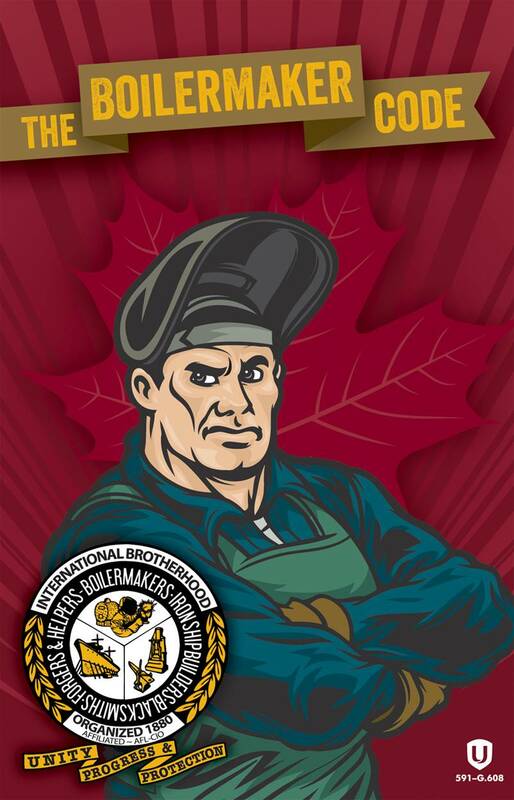 I am a guardian of my trade and the union way of life. 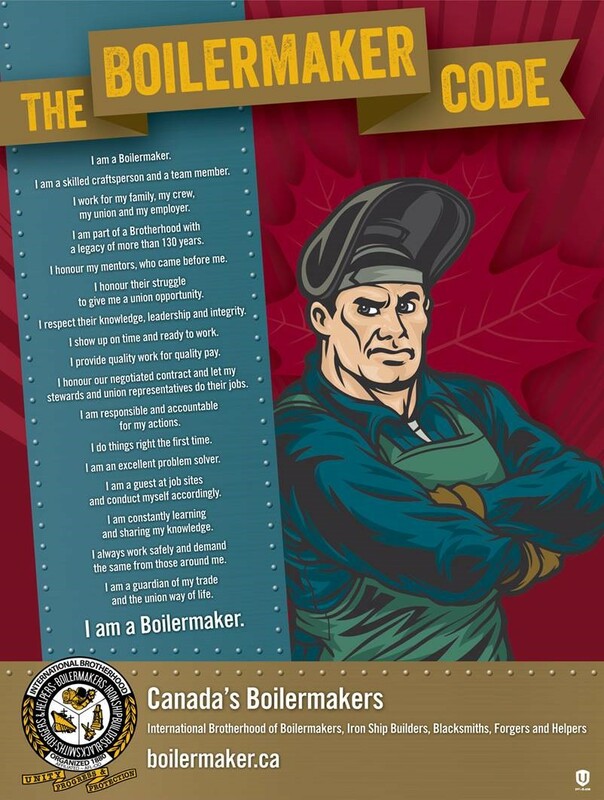 BOILERMAKER – I LIVE BY THE CODE. from Boilermaker Videos on Vimeo.